It’s that time of year: beer festivals are filling the calendar, pumpkin ales are filling the shelves, and we’re all turning our thoughts to cyber security. Does Your Brewery Warehouse Waste Water? Warehousing is important to every craft brewery. Where do you store your craft beer? How do you store it—and for how long? 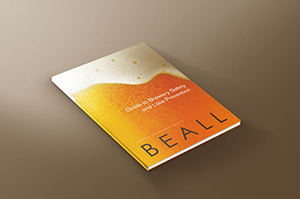 Beer is 95% water, but the amount of water needed in the brewing process adds up to much more than that. According to the Brewers Association, brewers need about seven barrels of water to make one gallon of beer. 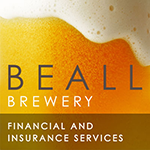 According to the Brewers Association, for every barrel of beer your craft brewery brews, you use an average of seven barrels of water, Beall Brewery Insurance reports. Given drought conditions experienced in many different regions of the country, and resulting legislation such as California’s new water restriction laws, it behooves craft brewers to develop policies and procedures to help manage water use.